The lighting scheme at the new Victoria restaurant includes a number of skinflint's lights, both from Britain and the former Eastern Bloc. We salvaged a number of 1940s industrial shades from a Hungarian factory, many of which now hang above the food counters. 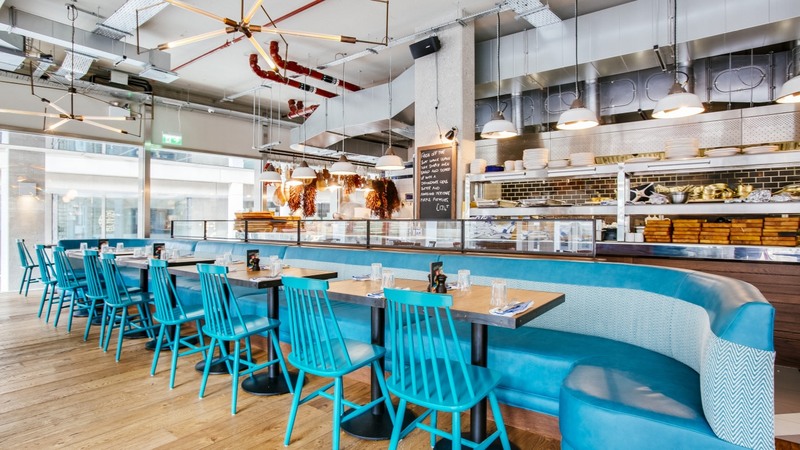 As with all the restaurants, each Jamie's Italian has its own individual interior, and the contemporary design at Victoria with tactile materials on counters and throughout the restaurant, complement the industrial style of some of the original enamelled pendant lights.